It’s been a week…that’s all I can say…and by week, I mean weeks…I spent all day last Saturday working on a report for work that still isn’t done (shhh…don’t remind me) and I see work in my future this weekend too. Job security right? I wrote this post last Friday but never got around to actually hitting post…y’all believe me…right? 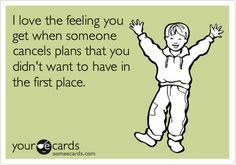 1) Having no plans, no where to go and no one to see equals Best. Weekend. Ever. Seriously. I have to talk to people all week at work. Give me fuzzy socks, comfy pants and a full DVR or new books and I am set for the weekend. Having plans makes me cranky. Hanging out at home with nothing to do is just awesome. It is my favorite. I would do it every weekend if I could. 2) I love having people over to my house. My home is where I’m most comfortable so if you want to grab 35 of our closest friends and have dinner somewhere? My house is the place to be. It is in fact the only place I would like to be surrounded by 35 people. Really. I don’t do crowds. But I can handle my house being full. I love hosting, decorating, cooking, baking for people. Disclaimer: This is not an open invitation. I love having people over when I’ve planned to have people over and have spent a sufficient amount of time alone in preparation for this sensory overload. And know that I will have plenty of alone time to recover after. 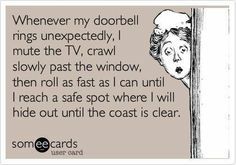 Also, if you show up unannounced at my door, please don’t be offended when I hide behind my couch and pretend you couldn’t see me sitting there when you rang the doorbell. It’s not you. Well. OK. It’s you. But it’s every you. And of course I still love you and want to spend time with you. The planned, prepared for it kind of time. Not the show up unannounced make me do those ninja moves so you don’t see me kind of time. Love ya, mean it! 3) Silence does not bother me. Don’t feel like talking? THANK YOU! Seriously. Thank you. Because I have these conversations I’m going to have to have in the next week and I need time to play them out in my head, every possible way they could go…and possibly at least one of those conversations is with you and I’m really hoping you don’t decide to have it before I’ve had time to work through that highly unlikely and probably not even possible but it could happen scenario I realized two minutes ago I hadn’t considered or figured out how to respond to yet. 4) I think I’m hilarious and I don’t really need anyone else to think I am. I laugh at the funny things I say in my head. Or on paper. Or computer, whatever. 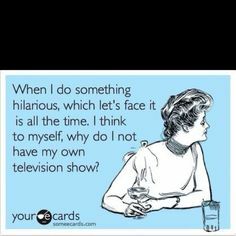 I can also amuse myself for hours with ecards on Pinterest. I may not get the jokes other people fall on the floor laughing over, but my humor is Off. The. Hook. I think it comes from all the talking I do in my head. Or else, I’m just naturally hilarious. Either way. It’s awesome. And I’m pretty sure it has a lot to do with being an introvert, although I’m not signing up for any studies on introverts and the effect that has on a person’s hilarity. Pretty sure that would require being around other people. 5) Naps. I have no doubt that if someone did a study on who needs more naps, extroverts or introverts, introverts would win. Especially Sunday afternoons. Or after a kids birthday party. Or after a conference where you were in a huge room with hundreds of people. Or after work. 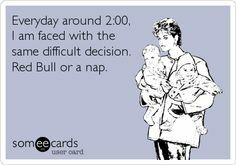 Or maybe around 2pm every day. Being around people wears me out. And if you’re an introvert too, I can just say, yeah, I was with like 8 other people today and automatically you say, Oh honey, you need a nap! Go lay down while I take care of the kids! Am I right? I’m right. It’s ok. I really am. We need naps. 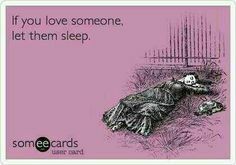 If you know an introvert, are married to an introvert, work with an introvert…go tell them to take a nap. Happy Friday, I have a hot date with my bed tonight because tomorrow…the people plans start, so I’m going to go ahead and get that nap in ahead of time. And maybe again Sunday. And Monday because it’s a three day weekend. And that in itself deserves a celebratory nap…right? Shhh…you’re getting sleepier and sleepier…. This entry was posted in facebook.com/lifewithgreeneyes, Uncategorized and tagged books, dvr, hilarious, humor, introvert, introverts, mom, naps, people, pinterest, plans, silence, sleep, weekend, wife. Bookmark the permalink. Oh my gosh – I could have written this. Great post.